Do You Know About the Awesome Benefits of Clary Sage? As I was deciding on the topic of this week’s article, it occurred to me that I have not written an article about my most favorite oil! So, here goes. If I could only have one EO in my life, Clary Sage EO would be the one I’d choose. It is my “go to” when I’m not feeling quite up to par. I’ve been using it for years and I can only boast about how it has helped me. It has never let me down when I need relief from the feelings of depression and anxiety. If you have never tried Clary Sage, I strongly suggest you make it a staple in your essential oil collection. In addition to relief from anxiety and depression, clary sage has numerous other benefits! Clary Sage – What is it? Clary Sage essential oil comes from a herb scientifically known as Salvia sclarea. This plant is native to the northern Mediterranean Basin, Central Asia and some areas in North Africa. Currently, the plant is widely cultivated (in large part, to produce essential oils) throughout the temperate regions of the world. As you can see in the picture, Salvia sclarea is a pleasant looking plant that can reach a height of 5 feet when cultivated. The large oval shaped leaves are covered with silver-white hairs. The small flowers form the spike-like shape that can be pale blue, lilac or violet. The entire plant is aromatic. Salvia sclarea is a close relative to garden sage, they both come from the same family of herbs. Despite being related they have very different aromas. Sage has a strong spicy scent and Clary Sage can be described as having a sweet nutty smell. In addition to the physical benefits of clary sage, it has been and continues to be an oil used in spiritual practices. Some people use this EO to gain “clarity”. Clary Sage is believed to have the ability to dispel confusion and illusion, allowing the user to look ahead clearly without being lost in continuous negative thought. This makes it a great essential oil for creative work, meditation, prayer and contemplation. This amazing plant has been used in so many ways it is not possible to list them all. I will touch upon some uses I think you may find interesting and helpful. I can attest to the benefits of clary sage essential oil for anxiety and depression. I have made use of this oil off and on for many years. I can honestly say that it has been a great help. If I am feeling anxious about something or depressed for no particular reason I put a few drops of this little wonder into my diffuser and breathe my way back to feeling better. Yup, as simple as that! Aromatherapists will often recommend a systematic administration of Clary Sage to an individual suffering from acute depression. These individuals will often be undergoing additional treatments to aid in their recovery. According to a study conducted in 2010, it was concluded that clary sage oil could be developed as a therapeutic agent for patients with depression. According to a study conducted in 2014, it was found that clary sage had the ability to reduce cortisol levels. Cortisol is a stress hormone that is created in response to stress in our lives. Ideally, we should create a certain amount of this hormone, but if too much is created it can be detrimental to our health. Click here to go to a previous article with information regarding cortisol. That’s right, clary sage is commonly known to be of great benefit to women and is considered to be one of the top EOs for hormone related issues. These benefits have been known and used for centuries. In fact, midwives often made use of Clary Sage when helping patients. As you can see, clary sage offers many benefits and almost anyone can take advantage of this little wonder. This was a fun article to research and write! If you decide to try Clary Sage for any of its benefits I am quite sure you will be happy with the results. As with any medication, please follow the advice on the labels and use your common sense. Essential oils are very POTENT and should be used with caution. Always talk to your doctor before mixing essential oils with prescribed medication. Clary Sage EOs are considered a complementary and alternative medicine. A fantastic option for non-severe episodes of depression and anxiety. Please see your doctor if you are experiencing severe bouts of depression or anxiety. Well, many thanks for spending the time reading this article. I hope you enjoyed it! If you have any thoughts about this article, use the comment box below. I would love to hear from you. Awesome!! That’s so amazing that the oil can be used for patients with depression! Who would have known?! How long have you been using it for, it sounds like it works miracles!! 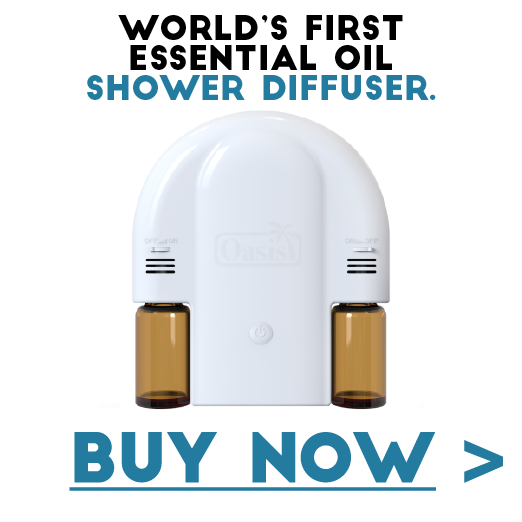 Hi Angela – I have recently started researching/ using essential oils more, so I really appreciate this post. I’m most interested in the benefits that this clary sage oil has in helping with menstrual cramps. How would you use it in this case? Is it best to use via a diffuser or another method? Thanks for your question. Some people mix 10 mls of sweet almond oil with a few drops of Clary Sage oil and rub it into their belly for relief of cramps. Diffusing is also a great way to benefit from the oil. I had never heard of Clary Sage before today. I use essential oils all the time. My husband and I have found that using an aroma therapy diffuser with lavender oil really helps us to sleep better at night. Perhaps we should add some Clary Sage as well. I have suffered from depression for years and he has bouts of it as well. Thank you for this great information. Thanks for your comment. Lavender and Clary Sage make a nice combination. It is my hope that you find Clary Sage to be helpful. Thanks again for stopping by. Have a wonderful day! Wow, clary sage sounds like an essential oil I need. I have been dealing with a few health issues that have kind of gotten me a bit depressed. I am working on it, but anything to help is worth it. So do I put it in a diffuser, is that how I would benefit? Thanks for your comment and question. Yes, diffusing the essential oil in a diffuser is a great way to benefit. I hope you have success with Clary Sage. Such an awesome article on such an awesome substance. And the benefits for women are just wow. Clary Sage is definitely something that I need for my wife to try, we’ve been battling without much benefit her devastating menstrual cycles with everything – but this is something we haven’t tried yet. Thank you, I truly appreciate you taking your time to write the article. Thanks for your comment. I am sorry to hear about your wife’s battle with her cycles. I am hoping that Clary Sage will provide some relief. Diffusing the oil is a great way to administer. Just wanted you to know, that some people also mix a few drops of clary sage with about 10 mls of sweet almond oil ( I am sure you could use other carrier oils as well) and rub it on their belly to combat the cramping. Hey Angela 🙂 I love essential oils. I’m not familiar with Clary Sage. It’s great that it offers so many benefits. I’m hoping that it can help me with some issues that I have. My question is, Can this help with type 2 diabetes at all? My apologies for my late response. Thank you for your question about essential oils helping with type 2 diabetes. As you probably already know, the research in this field is limited. I am, however, aware that some studies have been done with regard to the use of “cinnamon” for type 2 diabetes. I appreciate your question. I hope you have a fantastic day! Next PostNext Essential Oils and the Flu – Are you ready for the flu season?